04/11/2019 - Chesley Lands in Washington, D.C.
02/20/2019 - Chesley Wins in Boston and Premieres in San Francisco! 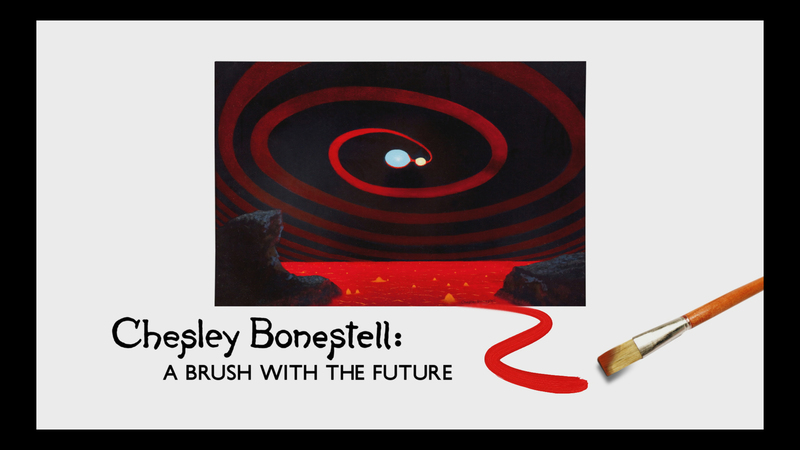 02/19/2019 - "Chesley Bonestell: A Brush With The Future" Screening this Weekend! 01/25/2019 - World Theatrical Premiere of "Chesley Bonestell"! 12/20/2018 - Destination: San Francisco -- World Theatrical Premiere Coming Soon! 11/20/2018 - Audiences of all ages gather for "Chesley Bonestell"
10/22/2018 - Special Honors for “Chesley Bonestell” Team Members + A Farewell to Paul Allen and Jay Whipple Jr.
10/09/2018 - "Chesley Bonestell" proves astronomically popular!